EXCLUSIVE! A classic autumn scene, inspired by traditional woodcuts. Leaves drift and birds rise to fly south for the winter. 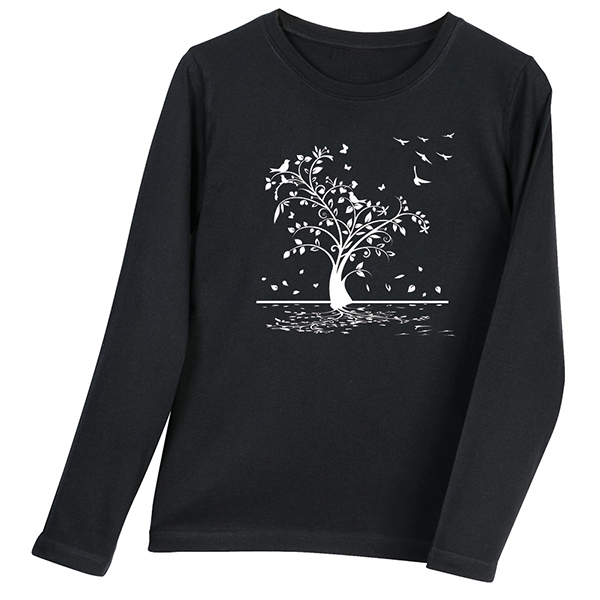 White-on-black scoop-neck ladies' tees are soft ringspun cotton. Sizes S-XXL. Imported.